Central Vietnam has many famous destinations which should not miss when traveling to Vietnam. 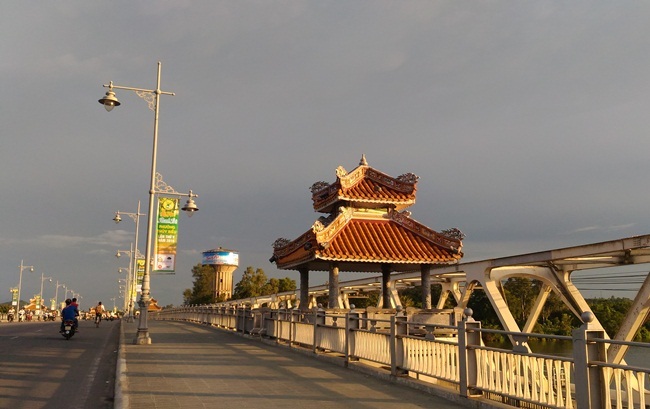 Vietnam Drive suggests Da Nang – Hoi An – My Son and Hue City Tour to explore Central Vietnam easier and comfortable. We will pick you up at Da Nang airport to transfer to your hotel in Hoi An or Da Nang city. Check in your hotel and relax. Then, you can explore Hoi An ancient city including Japanese Bridge, Thien Hau Temple at Phuoc Kien Assembly Hall, Old House Tan Ky (suggested), Hoi An Market and silk village to learn how they grow silkworm to make fabric. My Son Holy Land is a good place to explore from Hoi An Ancient town because many temples and towns were built from 7th to 13th century. It carries a lot of value of architecture, history and culture of Cham people in Vietnam. In the afternoon, you can relax on the beach or go shopping by yourselves. 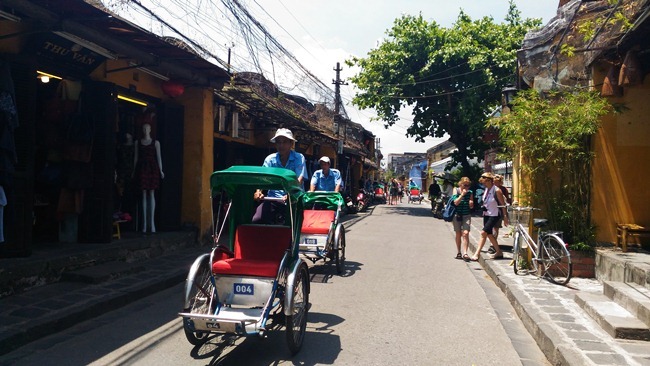 We drive from Hoi An to Hue – the old capital of Vietnam from 1802 to 1945. 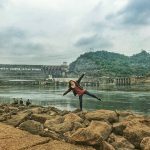 We stop visit the Marble Mountains in Da Nang and Hai Van Pass and photo at Lang Co Bay. 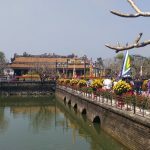 In Hue city, we will visit the Citadel – Royal Palace, and Dong Ba Market. Relax in Hue. This time is for you to taste great local food in Hue city. Hue food is combined between Royal style and public stay in Vietnam. In the morning, we start to travel to Thien Mu Pagoda – the oldest pagoda in Hue. The pagoda is situated on the nice site facing the Perfume River. Then, we drive to Khai Dinh Royal Tomb which has the nice decoration with mosaic and great views. After this, we drive back to Danang. We will visit the Lady Buddha statue at Linh Ung Pagoda at Son Tra island. Today, you will get the chance to relax and swim on the beach in Da Nang city. The beaches here are very nice for swimming and spend the time. In the afternoon, we drive to visit Han Market and Han River, the Old Church in Danang, Cham Museum, Dragon Bridge and Asia Park which is great for your family if you travel with children. We will transfer you to Da Nang airport for your flight departure.